The jurisprudence specialization is a collection of philosophy courses of special interest to students intending careers in law or politics, or with a curiosity about the theories underpinning these institutions. It is designed to sharpen the abilities to reason, to respond to opposing arguments, and to put one’s point clearly and precisely. The specialization also provides the opportunity to explore some of the deepest questions about the law, its relation to morality, what justifies authority, and what is distinctive about legal reasoning. Completion of the jurisprudence specialized major will be noted on the student’s transcript. 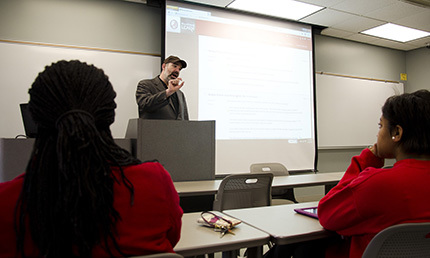 While anyone can take these classes (subject to applicable prerequisites), if you are interested in completing either the specialized major or minor, contact us at phillaw@ua.edu. Students completing the specialized major will receive a notation on their transcript. On the basis of their performance in the Jurisprudence classes, students completing the specialized major are eligible for The Norvin Richards Award in Philosophy and the Law, a substantial cash stipend. *A specialized minor does not appear on the transcript; however, the department can provide documentation stating the completion upon request. Any additional three-hour PHL course.